Definition at line 308 of file conmsg.h. Definition at line 315 of file conmsg.h. 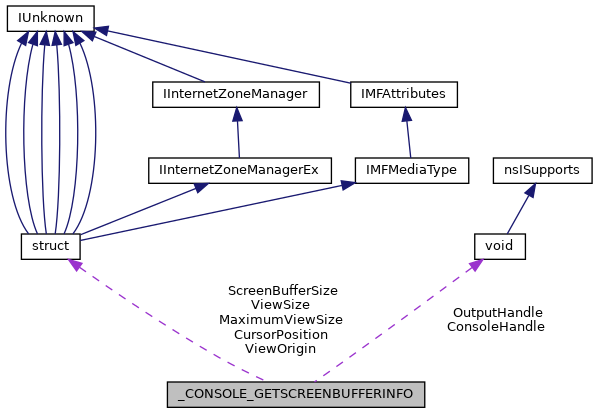 Referenced by CSR_API(), and GetConsoleScreenBufferInfo(). Definition at line 310 of file conmsg.h. Definition at line 313 of file conmsg.h. Definition at line 317 of file conmsg.h. Definition at line 311 of file conmsg.h. Definition at line 312 of file conmsg.h. Definition at line 314 of file conmsg.h. Definition at line 316 of file conmsg.h.